In this very moment we are building the worlds smallest chewinggum factory. Our ambition is a state-of-the-art chewing gum – both regarding taste and experience – only applying 100 percent natural and organic ingrediens. Three out of four chewing gum brands marketed to danish children contains endocrine disrupting ingrediens. The synthetic gummibase used in chewing gum today can contain up to 80 different chemical additives. 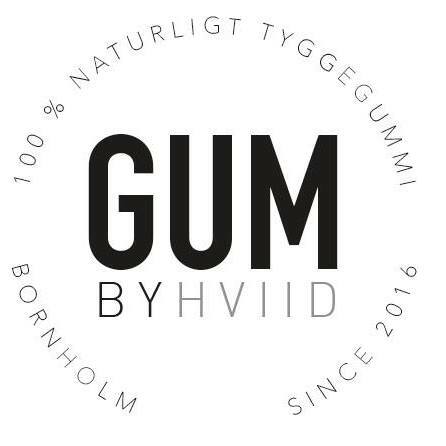 Gum by Hviid contains only natural and organic ingrediens – being 100 percent biodegradable. If you by ‘accident’ should drop Gum by Hviid in nature, it will disappear in six weeks. Gum by Hviid is chewing gum made simple. We have our hearts and minds on the same side as nature. We are producing chewing gum using only organic ingrediens, organic colours and sugar – using natural gum from the sapodila-tree. Our chewing gum is made on a recipe consisting of care and curiosity – pursuing the highest quality, exploring the taste of the north – made on one of the smallest factories ever seen. Its chewing gum made on Bornholm – a tiny litlle danish island in the middle of the Baltic Sea known for its tradition and innovative power regarding high quality food products. First of june our three first chewing gums will hit the market: Spearmint, liquorice and buckthorn. The taste of buckthorn is made by Høstet – just 20 miles away.